PAUL BISHOP ~ WRITER: AVAILABLE NOW ~ FIGHT CARD: MONSTER MAN! 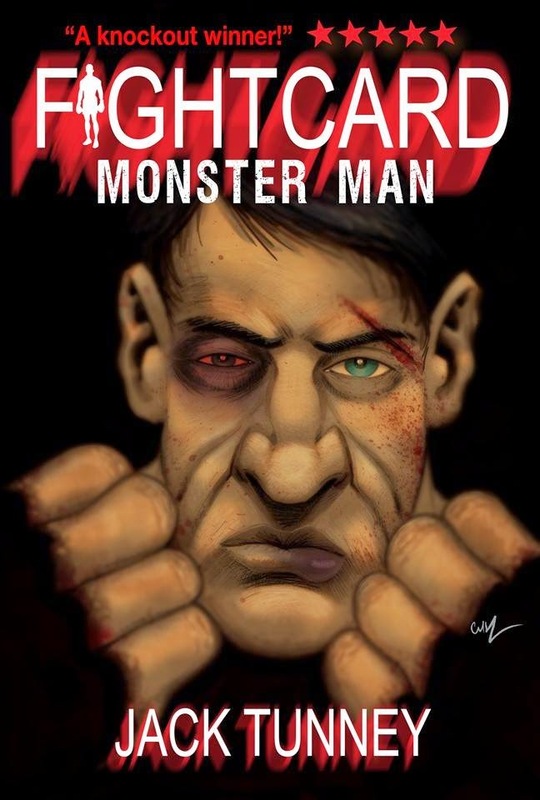 AVAILABLE NOW ~ FIGHT CARD: MONSTER MAN! A fighter on the rise despite a growing illness, Ben Harman is on track for a heavyweight title shot until one disastrous night in New Mexico ends his chance at glory, and his pro career, in one overhand right. Along with Pete – his manager and fellow refugee from Chicago’s St. Vincent’s Asylum for Boys – Ben lands in the harbor town of Mamaroneck, New York – the latest underground boxing hot spot targeted for Pete and Ben’s scam. The scam is simple – it keeps Pete and Ben ahead of what happened in Albuquerque and, hopefully, ahead of the acromegaly twisting and weakening Ben’s body by the punch. Move and scam, move and scam, has always been their plan. Then Ben meets Vicky, a fallen Hollywood day player able to see past Ben’s monstrous exterior to the man inside. As their romance grows, Ben and Vicky threaten to derail the perfect meal ticket Pete’s concocted, and Vicky’s connection to the man running Mamaroneck’s illegal fights – and the secret they share – puts everyone in danger. Time is running out. With only so many punches left in his distorting hands, Ben Harman will have to decide how to use them – as a monster or as a man.